Hi Jun thanx for making the first dal-so-ri love the size! Hmmm..if I do understand correctly, option 2. would just give us a crippled MSX-AUDIO? No ADPCM SAMPLE RAM = no samples (often drums) which are used on a lot of music disks (moonblaster) and so on. How many commercial games did support japanese MSX-AUDIO? Well, very very, very few. For me, it is enough to just expand real Philips Music Module with MSX-AUDIO BIOS and more sample ram. I don't need moonsound to be msx audio compatible. Additional 100USD does not really justify the full MSX-AUDIO compatibility, as I see it. Need more information about payment the cartridge. If you think the BIOS is useless without ADPCM, then possibly a 3rd model may be a candidate. I think it's advisable to remember that, since it won't have a BIOS, this "option-3" will require the user to use some utility (.COM or .BIN) to load the instrument bank from the ROM to the WaveRAM on every cold boot. Given that characteristic, I even wonder if the 2MB ROM will be needed at all: if the idea is to make the cartridge cheaper, the YWR801.ROM file could just be loaded from the a flash drive as a normal file. Why do you need to load the 2MB ROM manually? If the rom is there already it should just behave as normal dal-so-ri / moonsound + 4MB of ram. …and losing MoonSound compatibility. It’s more important to keep that than minimising cost if you ask me. Besides, judging by the DalSoRi v1 cost, I don’t think there’s much to save omitting the ROM. I definitely like this ROM/RAM combination. From a VGMPlay perspective, I prefer a software switch between RAM/ROM btw, don’t want to have to be prompting the user to flick a physical switch on the cartridge. As for BIOS (I presume something based on FRS’s BIOS? ), I have no real opinion . It adds a bit of cost, but it could be a nice addition, and I do appreciate your sentiment about MSX spirit. If it’s flashable, it could get some nice features in the future. Whether I’d use the BIOS in my software, probably not, but for those few Japanese (Compile?) 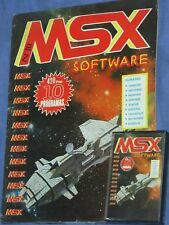 MSX-AUDIO games it may be nice if they could play back their music on DalSoRi v2, maybe MSX-MUSIC support would be possible as well. BTW, JunSoft, thank you for your effort to create this cartridge. It is a great achievement to reimplement the ADPCM part in FPGA! To me, the option-1 is like a dream coming true. I would like to ask you to design the BIOS megarom type as a modified ASCII16, as described below. That will make my life a lot easier when coding the specific version of the BIOS for this device, and will allow flash updates of the BIOS, since the original "ASCII32" megarom controller wouldn't support that. frame-0 (0000h~3FFFh): has its page selected by the register-0. The flash is always read-only in this frame. frame-1 (4000h~7FFFh): has its page selected by the register-1. The flash is always read-only in this frame. frame-2 (8000h~BFFFh): has its page selected by the register-2. The flash can be read/write in this frame. frame-3 (C000h~FFFFh): has its page selected by the register-3. The flash can be read/write in this frame. - bit0: 0=OPL4 is not enabled on I/O port C0h~C3h. 1=OPL4 is enabled on I/O port C0h~C3h. - bit1: 0=OPL4 is not enabled on I/O port C4h~C7h. 1=OPL4 is enabled on I/O port C4h~C7h. - bit3: 0=Disable flash writes on frames 2 and 3. 1=Enable flash writes on frames 2 and 3. - bit0: routed with a diode+pullup to the respective pin of the Music Keyboard connector if this connector is present. Not sure if it passed through an inverter in the FS-CA1. - bit1: routed with a diode+pullup to the respective pin of the Music Keyboard connector if this connector is present. Not sure if it passed through an inverter in the FS-CA1. - A+P: Disable the ADPCM module. The OPL4 will be configured to show only on C4h~C7h like the Moonsound. Also, remember that the MSX-Audio BIOS has native support for two ADPCM channels. It would be lovely if your ADPCM-in-FPGA module could implement both. I forgot to mention that it would also be lovely if this cartridge could also finally have the missing YSS225 effects processor, since it opens a world of new possibilities! sd_snatcher would include the kitchen sink... and confuses BIOS ROM and YRW801 ROM. YSS225 would be nice but not even the manual can be found... so how to implement? I agree with msxtrd. Moonsound exists for over 20 years without BIOS ROM. Adding a limited BIOS that only exposes MSX-AUDIO functions partially, makes no sense. Well, I just think that if a new card is to be designed, then it would be the best if it would be complete. Just another moonsound clone wouldn't make any difference from what I already have. It's not hard to replace the YWR801 ROM with SRAM in a Technobytes Shockwave to achieve the same results. and confuses BIOS ROM and YRW801 ROM. I can assure you that I absolutely don't. Maybe you have missed the original thread that started the idea? If you don't know, if 4MB of RAM are connected to the OPL4, the 2MB YWR801 ROM must be included in the same MegaROM as the BIOS. And the BIOS must load it into the RAM on boot. You're right about this. It's very hard to find the YSS225 documentation. When googling about this topic quite some time ago, I once read that the YSS225 is very similar to the YSS205 Karaoke Processor. And it's easy to find the YSS205 datasheet. I agree with msxtrd. Moonsound exists for over 20 years without BIOS ROM. That doesn't mean that we must continue repeating the same mistake over and over, when we can finally fix it. Adding a limited BIOS that only exposes MSX-AUDIO functions partially, makes no sense. The option-1 of this new cartridge has the ADPCM. So what kind of partial MSX-Audio functions are you talking about? And what about the MSX-Music BIOS compatibility? As far as I recall, those who tested the FireHawk HDD being played in stereo in the OPL3 cartridge were very impressed. Aren't you also interested in playing MSX-Music BASIC songs and the MSX-Music classics in stereo and with high quality sound? 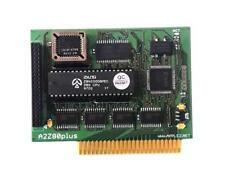 I want to know there is any add-on board for OPL4 cartridge to use MSX-AUDIO BIOS v1.3. If exists, what purpose for? Any software for that? I already thought similar memory mapper because BIOS ROM will be flash memory. Already noted by others, you don't need to load YRW's content to SRAM. You can select YRW801 ROM or SRAM on the fly by writing a certain register. Thanks all, I'm keeping my eyes on this thread.